Rabbi Yaakov Shapiro’s “The Empty Wagon” is one of the most controversial books to hit the Orthodox world in decades. Its 1,373 pages deal with the reaction to the Zionist movement within the Orthodox Jewish world and attempt to debunk much of what the Torah community believes about Israel’s modern history. Most interesting to me is Rabbi Shapiro’s claim throughout the book that the Six Day War was not “miraculous” at all and involved no nissim whatsoever. Rabbi Shapiro attempts to back this up through Internet searches, citations of a few U.S intelligence reports, and quotes from the Satmar Rebbe, zt’l. I choose to believe other sources, especially Rav Chaim Shmulevitz, zt’l, the Mirrer rosh yeshiva. Rav Chaim Shmulevitz answers that it is not. It is the nature of people not to change themselves even after seeing open miracles. “This explains why people around us now are not changing after seeing the open miracles of the Six Day War,” adds Rav Shmulevitz. This shmuess was delivered in June 1967 in the Mirrer Yeshiva in Yerushalayim. The Mir experienced an open miracle when a bomb that crashed through the ceiling did not explode. So there we have it. Rav Chaim Shmulevitz, zt’l, says straight out that there were open miracles. He also explains exactly why Rabbi Shapiro refuses to recognize the open miracles of the Six Day War. So who do we go with: Rav Chaim Shmulevitz, zt’l, or the author of this book? “We had 200 planes. They had three entire air forces. Rabim b’yad me’atim — we had 2.5 million Jews; they had four entire nations. There were numerous miracles. “There was no feeling like it in the world. I remember soldiers saying that they will not liberate Yerushalayim from Shaar HaAshpa [Dung Gate]; they went in through the Lions’ Gate. Everyone realized that these were open miracles — chareidim in Bnei Brak and even the most secular people. On a personal note, my entire family and I were in Yerushalayim at the time, and my parents, aleihem ha’shalom, never stopped talking about what happened in Yerushalayim that week. My mother and uncle were hit by shrapnel on their way to the bunker we stayed in while being shelled. 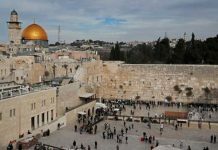 The entire nation, both religious and irreligious, experienced nissim and niflaos — from the soldiers who liberated the Kosel to the Jewish families in the bunkers. Thus, the author’s abnegation of the opinions of gedolei olam, the bomb in the Mir miraculously not exploding, the experiences of soldiers and run-of-the-mill citizens, and my parents’ personal experience, leaves me with an unpleasant aftertaste. Throughout the book, Rabbi Shapiro attempts to demonstrate that the strongly anti-Zionistic view of the Satmar Rebbe, zt’l, was the same view of the gedolim of the past and the yeshiva world. In this reviewer’s opinion, his analysis is fundamentally flawed. To say that this premise is grossly inaccurate is a serious understatement. There were, historically, five major reactions to Zionism, which we can label as categories, in the observant Jewish world. There was the reaction of the Satmar Rebbe, zt’l, that Zionism was essentially a movement that ran counter to Torah-true Judaism and came from the Sitra Achra. This category was the position espoused mostly by rabbis in the Austro-Hungarian Empire. It is associated with both the Neturei Karta and Satmar, although many in this movement have tempered this position. The second category was also an anti-Zionist position, but not to the extent of category one. This position rather reflects a “hold our nose and deal with them” attitude. Primarily, the espousers of this category belonged to the Agudath Israel camp in its earlier stages. After the Holocaust and the rise of the state of Israel, many in this group modified their prewar, pre-state stance. A third category comprises people who identify with categories #1 and #2 socially, but look at Zionism and the State of Israel much as Orthodox religious Jews look at a hospital or a volunteer ambulance company. Many observant Jews in the United States identify with this third category. They bear no ill will toward the State of Israel and often show a desire to help it. They also have a sense of appreciation toward it. Many gedolim and roshei yeshiva hold this view but only voice it to their close talmidim. Category four is composed of people who are chareidi in their halachic observance and Torah study, but identify with something called religious Zionism. They look at the development of the State of Israel as part of G-d’s Divine plan of redemption. Category five’s subscribers are people who are religious but markedly more secular and modern in their observance. They are more likely to have television sets and partake in cultural activities of secular society. Their outlook on the State of Israel is also that it is part of a Divine plan of redemption. Rabbi Shapiro runs roughshod through the subtle and nuanced views of gedolei Torah and misrepresents those views as being in full agreement with that of the Satmar Rebbe. They are decidedly not. Let us also not forget that Agudath Israel signed Israel’s Declaration of Independence. It is disingenuous and deceptive to lump these divergent views together in one category. Yet this is what the author does throughout the book. It is inconceivable that our gedolei Torah would write such things if they shared the Satmar Rebbe’s position on Zionism. Rather, it is clear that these gedolim were in the second or third category, or perhaps somewhere in between. The book is filled with fascinating information and vignettes of leading gedolim. Much of the material is accurately researched. The material, however, is combined with conjecture as to the motivations of people in an entire movement. Yes, many Zionists were atheists and tried to replace Torah-true Judaism with nationalism. But it is inaccurate and deceptive to claim that all Zionists shared this agenda. Shockingly, the author deals with great gedolim in a disrespectful manner. Rav Kook, zt’l, was one of the leading gedolim of Klal Yisrael. Rav Yosef Chaim Sonnenfeld, zt’l, took a trip around Eretz Yisrael with him to spread Torah. There are also errors of attribution in the book (p. 539). The Chofetz Chaim never said the words “Kook Shmook” — no matter what Rabbi Shapiro says. (Someone else said this and the author’s source confused the two.) Rav Hutner, zt’l, was also a talmid of Rav Kook, and for a former student of Chaim Berlin to deal with Rav Kook in such a disparaging manner is unnerving. “I was happy to hear from my dear friend, R’ Chaim Menachem Teichtal, shlita, that the wonderful book written by his brilliant, righteous, and saintly father, R’ Yissachar Shlomo Teichtal, ztvk’l … author of Responsa Mishneh Sachir, [was being published in English]. This book, which is completely holy, arouses the hearts of Israel to their Father in Heaven and inspires them to cherish the great mitzvah of settling the Land of Israel. Rav Teichtal, zt’l, was murdered in the Holocaust. He had an extraordinary reputation — even greater than that of the Satmar Rebbe, zt’l, when they were both in Europe. His responsa are world-class teshuvos. This book has haskamos, but two of those writers do not read English and it is almost certain that the third did not read the work in its entirety. There is no question that there were and still are numerous secular Zionists who can be characterized as anti-Torah, but is it not better to adopt the attitude of those who hope to bring them around to a Torah lifestyle rather than to harp on the negative issues of long ago? The author felt close to the Satmar Rebbe and felt the need to bring out his thoughts to the world. There is no question that the Satmar Rebbe was a tzaddik who built a broken nation after the war. But let’s not forget that the Satmar Rebbe himself did not want his views on the matter espoused to the gentile world in English. The author should have spent the four years he took to write this book to spread the brilliance of the Satmar Rebbe’s other Torah instead. One’s time and effort should be placed upon building Torah and Klal Yisrael through chesed, more Torah, and genuine ahavas Yisrael, rather than sowing further discord in Klal Yisrael. It is disheartening that this book is being sold in yeshivos; even putting aside the sinas chinam that the book will engender, what about all the bitul Torah it is causing? Let’s also remember that satmar was saved by the Zionists from the holocaust. Without Zionism there would be no satmar today. Did Rabbi Shapiro write two books against Zionism called The Empty Wagon? Because in the one that I read, Rabbi Shapiro does not say or claim almost any of the things you mention. In the Empty Wagon that I read, Rabbi Shapiro claims that Israel’s victory in the 1967 was not a miracle, as Israel’s military was strong enough to win the war unmiraculously. Yet you say that what he writes contradicts the fact that a bomb miraculously did not explode in Mir. Both can – and in fact are – true. The fact that Israel was likely to win the war (which is ALL Rabbi Shapiro discussed) does not preclude any individual (or yeshiva) miraculously prevented from being a casualty of that war. Rabbi Shapiro also never claims that all the gedolim held like the Satmar Rav (just the opposite!). He describes in detail the differences of opinions of a wide variety of gedolim and groups. Mizrachi, National Religious, Agudah, Brisk, Chazon Ish, Satmar, and others are covered, with detail and nuance and comparison that I have not seen elsewhere. If you are disturbed at the quotes he cites from Rav Shach or Rav Avigdor Miller, or even from R. Reuven Grozovsky, that indicate the difference between Satmar and others are not nearly as wide as many people think, then respond to those quotes, but he never claims what you say he claims. Nor did he ever claim that he covered the opinion of every single godol in the world. The only thing that you cite from the book that it actually does say, is the Chofetz Chaim’s “Kook shmook” quip. You say the “source” confused the Chofetz Chaim for someone else. This is not likely, as you would discover if you would inquire as to who the source is (as I have), the details of the story, how many times the source repeated it, and how well known it is in certain circles (Rav Berel Soloveichik used to quote it also), and how many people heard it first hand from the source. Lamest excuse of a review I have ever read. It took you people 2 months to come up with something and this is all you’ve got? Pathetic. No matter how you twist and misrepresent Shapiro’s arguments you cannot do anything about the fact that he only presents views of major gedolim, across the board. Dont make it into a Satmar only shito because it isn’t. And it is not just some dude writing his thoughts on the topic. This is R’Chaim Soloveitchik, this is Rav Elchonon, Rav Shach, this is what most chasidshe rebbes held, this is what Rabbi Avigdor Miller wrote about openly and in ENGLISH. You have a problem with that? Whom should we believe when it comes to Zionism, some random Chaim Yankel like you or gedolim like these? Is this the kind of argumentation you use in your Gemara study? I hope not. Firstly the book has Haskamos which you refuse to quote.Secondly, you quote no sources on your so called five categories. Rabbi Shapiro has plenty of them including all their accurate names in their proper categories. Mentioning sources from Gedolim and first hand reports confirming that there were miracles during the six day war implying that that somehow undermines the U.S Government and CIA etc. analysis and conclusions forecasting the events of the war – Is sloppy journalism at best,and at worst deliberate Motzi Shem Ra on the Gedolim who viewed the results of the war: with the prospective that President Johnson’s security briefings were in fact the truth. As delineated in great detail in the book. As per the rest of the review: In general people appreciate intellectual arguments relaying facts figures and evidence that assumes the reader is intellectually astute to absorb it. Emotional reactions only talk down to the reader. As a general rule, like anything else, you have to know what is considered a FUNDAMENTAL, and what is considered an INSIGHT or a side point. In my humble opinion, the main purpose of R. Shapiro’s book is to clearly illustrate what defines the FUNDAMENTALS of our Religion (and our Torah/sages), and what defines Zionism. He created an awareness which didn’t really exist before, and he has done an excellent job. You see, Zionism’s key to success has been, and always will be, the very fact that it undermines that very essence of the Torah observant Jew. It creates a whole new kind of Jew (aka “Life”) by pretty much allowing you to be a Jew without being a Jew. And it makes things super confusing for an average person who doesn’t really know anything from anything. So here is where Shapiro comes in. His goal is to simply EDUCATE the general public in this area, and by doing so we are thus fully able to define and understand our values and true heritage. NOWHERE in his book does Shapiro suggest that we should blow up Ben Gurion airport or boycott Israeli goods. Anyone who starts talking about hatred etc, is clearly missing the boat here. As far as this Rabbi Hoffman’s problem with the Six Day War analysis – I’m not quite sure I understand what the Mir Yeshiva and Reb Chaim Shmuelevitz has to do with anything. It is obvious that what specifically happened to the Mir during that time was a miracle (just as they experienced miracles during WWII), but who ever said that the very fact that Israel was not wiped off the map was an utter and complete miracle?? And, just because they had less in terms of QUANTITY against the Arab nations, at the sane time, it was evident that it was indeed QUALITY which they did have whereas the Arabs did not. And this is precisely what it takes to win war, just as Shapiro quotes from US generals ans war experts. One of the best books in our days..
Great job covering the truth that the Jokesters rabbies don’t have the courage to tell there communitys. If codes are changed that helped the Israelis, that’s not a miracle. A miracle is something above nature. Hashem is always altering the thoughts of world leaders. That’s the way He runs the world. The Zionist narrative calls everything Israeli a miracle and everything the world does antisemitic. That’s a bit simplistic and manipulative of those concepts. That the victory was not miraculous is the view of a number of Israeli historians, most notably the world-renowned Israeli historian Benny Morris. In 48, The Arabs didn’t send 7 full armies but a small portion of their armies. They had overall less troops than the Hagganah. They had more equipment in the beginning but much of it didn’t work and they didn’t have people who could use them. They also entered the war reluctantly and had no fighting experience coming into it. See Benny Morris, 1948 and Righteous Victims. Civil War:“Facing off in 1947-8 were a highly motivated, literate, organized, semi-industrial society and a backward, largely illiterate, disorganized, agricultural one.” Benny Morris, Righteous Victims, p. 311. War Against the Arab States: “The Arab forces in Palestine consisted (until the end of May) of not more than 28,000 troops — some 5,500 Egyptians, 6,000-9,000 Arab Legionnaires, 6,000 from Syria, 4,500 from Iraq, a handful of Lebanese, and the remainder Palestinian irregulars and foreign volunteers. On paper, according to Haganah estimates, the combined Arab armies had some 75 combat aircraft, 40 tanks, 500 armored vehicles, 140 field guns, and 220 antiaircraft and antitank guns. In practice they had far less, much of the equipment (especially the aircraft) being unserviceable, and some of the remainder never reaching Palestine. “The armies were extremely ill-matched. Israelis, through their history, have tended to see themselves as the “weaker side,” their army smaller and less well armed than their Arab enemies. The truth in 1967, as at other times, was different.” Benny Morris, Righteous Victims, p. 311.